USB-to-RS232 converter needed when connecting the TC-48-20, TC-48-20 OEM, or the TC-36-25-RS232 to a host computer with an available USB port. The RS232 Adapter is pre-configured to work with the TC-36-25-RS232 to provide for USB to RS232 communication with a Windows-based computer. 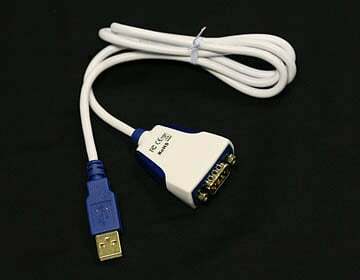 The RS232 Adapter includes the USB-RS232 cable and device driver. The RS232 Adapter has proven to work well with TE Technology controllers, without some of the adapter-to-computer communication problems observed with other RS232 adapters. It has internal blue LED’s to indicate when the computer is communicating with the adapter. This is a valuable feature for verifying the proper communications port has been selected for controller communication. 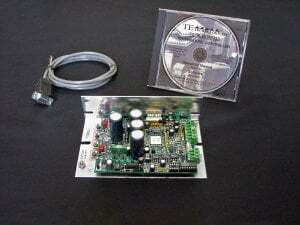 The RS232 Adapter is NOT included with the TC-48-20, TC-48-20 OEM, or the TC-36-25-RS232 controller package and must be ordered separately to allow the temperature controller to communicate via a USB serial port on a host computer. 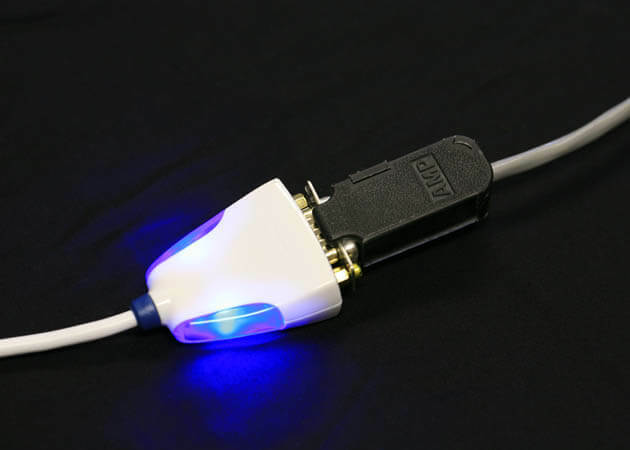 If the controller you are using does not include the MP-3023 RS-232 cable that must be purchased separately. 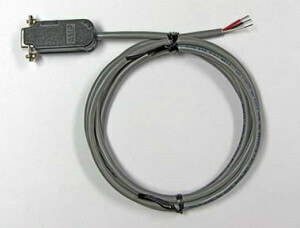 RS-232 cable needed when connecting the TC-48-20 and TC-48-20 OEM to a host computer. The TC-36-25 RS232 is a bi-polar (heat and cool) proportional-integral-derivative temperature controller that can modulate power input from 12 V up to 36 V, or from 0 V to 36 V with a second power supply, at currents of up to 25 A. 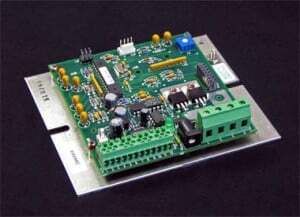 The controller comes standard with a temperature sensor (thermistor), but it can also be used with common 10 k ohm thermistors. In addition, Windows-compatible software and an RS232 cable are provided for direct communication via the serial communication port. LabVIEW-based GUI available as a download, the LabVIEW source code is available free of charge upon request, and a sample read and write command programmed in Python is also available for download. The necessary hook-up cables are included when a thermoelectric cooling assembly and power supply are ordered with the controller. 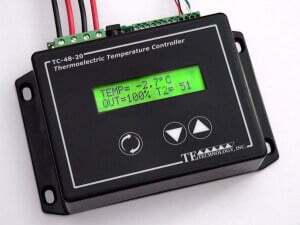 The TC-48-20 is an easy to use yet powerful cool-only or heat-only PWM temperature controller. It is housed in a die-cast aluinum box, incorporates a keypad and display, and is capable of controlling from 0 to 50 volts and up to 20 amps. Two versatile alarm outputs are included, each capable of switching up to 1 amp of current. If a true linear-output control system is desired (for applications extremely sensitive to electrical noise) the TC-48-20 can be used as the control head for high-power, variable-output linear supplies. Most control parameters can be programmed via the built-in keypad, but the controller can also be connected to a computer via an optional RS232 serial cable for more advanced program control as well as data graphing and data logging. The software is shipped as a stand-alone program, but the LabVIEW source code (version 2011 and higher) is also available upon request and a sample read and write command programmed in Python is also available for download. The TC-48-20 OEM has the same control capabilities as the TC-48-20 but leaves off the keypad, display interface, and housing to keep costs to a minimum. The controller can be connected to a computer via an optional RS232 serial cable and used with the included software to provide program control as well as data graphing and data logging. The software is shipped as a stand-alone program, but the LabVIEW source code (version 2011 and higher) is also available upon request and a sample read and write command programmed in Python is also available for download.